TRINITY COLLEGE DUBLIN has confirmed that it’s been the victim of a cyber attack, but couldn’t confirm the exact amounts involved. The story first appeared in The Irish Sun this morning, where it was reported that €1 million was taken, some of which was recovered. 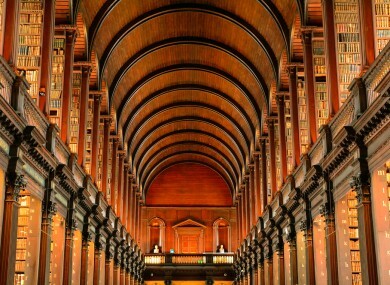 The Trinity Foundation, the fundraising organisation of Trinity College Dublin, was alerted by its bank of suspicious activity in its accounts. It was discovered that the Foundation has been the apparent victim of a computer-based fraud. Some money was recovered following the discovery, but it is too early to say whether everything can be recovered. It’s hoped that any shortfall due to the cyber attack will be made up from the university’s future commercial revenues. In a statement to TheJournal.ie, gardaí confirmed that there is a criminal investigation into a report of fraud at a third level institution in Dublin. In addition to a garda investigation, Trinity College Dublin and Trinity Foundation are conducting a detailed investigation and have engaged an external computer forensic team to assist in establishing the technical details of what happened. The Data Protection Commissioner’s office has been informed and is liaising with the university. Email “Investigation launched into cyber attack on Trinity fund”. Feedback on “Investigation launched into cyber attack on Trinity fund”.